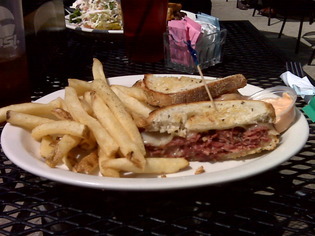 Flannery's Pub isn't known for their Corned Beef but I was there and thought I'd give it a try. It was hot, a bit small and a little greasy (oddly enough, that added to the taste and the experience). All in all, it was a pretty good sandwich. But not a great Corned Beef sandwich.